It’s almost summer and I actually forget every year how it gets so busy in May and June with all the events stacked up all at once. Birthdays, Anniversaries (my husband and I celebrated our 15th this May), soccer, end of school events, and of course things like Quilt Market. For anyone who hasn’t heard of Quilt Market, it’s an industry trade show that happens twice a year to showcase new fabric collections, new products, etc. I haven’t mentioned it here on the blog yet, but on my Instagram you may have seen that I debuted my fabric collection, Forage, with Robert Kaufman Fabrics just a week or so ago in Portland, Oregon. I’m so honored to have been able to work with Robert Kaufman Fabrics in the past and constantly am reaching for their fabrics, so it feels great to be part of this amazing company and to have this opportunity to design fabric. I had a booth within the Robert Kaufman‘s section to showcase Forage. It’s a collection of 20 prints overprinted on Essex and Essex Yarn Dye (yesssss! eeek!). I’m so thrilled with how the fabric turned out. Don’t you love a good fat quarter stack like this? Here’s the super important part – it’ll be shipping to stores in August! Yep, I simultaneously know that it’s both far away and right around the corner at the same time. Isn’t that how summer goes? Well, I hope this tiny taste of the collection will provide a little bit of inspiration and get you excited about sewing with it. Forage Bag (designed by me) will be a FREE pattern that will be available in August when my fabric collection, Forage, ships to stores! It’ll be worth the wait! I’m already excited to show you all the projects I made using it! And to talk a bit about things that inspired me while designing the prints. I’ll be saving the projects to share for when it gets closer to the release date as I know it can be so hard to be inspired to make something yet not have the fabric available. So please hang in there! With the release of Forage will be a brand NEW and FREE pattern that I designed. It’s a super fun one and I think it’ll be great as a quick, satisfying, and useful make. If you’re interested in these fabrics, please share this with your local quilt shop and ask if they’ve ordered. I’m so excited for August! I’m excited for this! I love the essex linens with prints on them – so lovely. Can’t wait to see what you’ve been doing with it! These are so beautiful Anna….I love Essex Linens already and this is just icing on the cake to have your designs on them! Can’t wait until these are available!!!! They’re really beautiful. I’m happy for you and look forward to playing with your new line! Something just happened that has never happened to me before. I. Love. Every. Single. Piece. Of. A. Collection!! Can’t wait! Love the fabric and the purses! Can’t wait to give it a try! These are beautiful! Can’t wait to start cutting into them in August. These fabrics are so cool. Fun but liveable, muted yet still interesting. I can’t wait to play with them. It’s so unfair that you can’t just sell them off your website early to your subscribers. But I get it 🙂 I can’t wait to download your new pattern and the back pack one as well. I know it’s linen but have you considered making a quilt out of these? Or making them in quilting cotton. If so, I’d love to see it one here. I never know how to make quilts out of softer/low volume fabrics. Can’t wait tip August but will enjoy your blog until then. 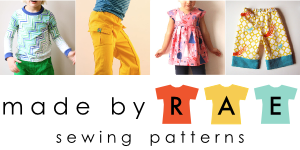 I love this fabric line and can’t wait to see it in person! I love your back story and how you’ve incorporated your visual experiences into your designs.